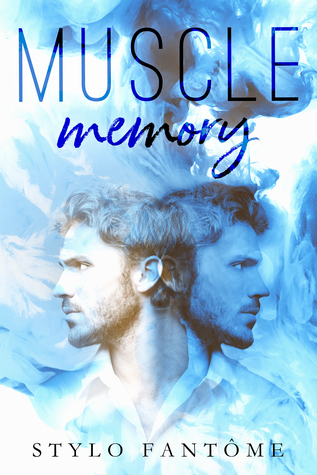 MUSCLE MEMORY: is a standalone contemporary romance novel by Sylo Fantome. Imagine waking up with no memory, this is what happened to John Doe case number 438643 that’s who we know him by, a man with no name, no recollection of how he turned up at the hospital, or anything of his past life, a blank slate, he remembers nothing!! Does he have any family? Is anyone missing him? Why has noone come forward? All he knows is what the hospital staff have told him since he arrived. A fractured skull and a broken humerus. He was unconscious for two whole weeks. It is indicated he may have been a drug addict going by the needle mark on his arm, a homeless man going by the clothes and the state he arrived in, but is any of that true? His future is hanging in the balance, without any identification on him, where does he go from here? This does flit from the Present to the Past as we see the events leading up to his demise he’s not so privy to those times though. In his past we see him meet a beautiful female, he already knows that he wants to make her his, build a future together, they meander from sober to intoxicated, from party to party chasing the high that only drugs gives them. Nothing can break their bond, both happy in their bubble. Like a puzzle piece with missing pieces that we had to connect to make John Doe whole, his past and his newly made up future collide when he comes face to face with a female that he's drawn to but can't remember, we know who she is, we know what they mean't to each other, but will he ever find his way back to her? later we learn all there is to know about John Doe, we learn where he came from, his name, his age, we learn everything. But once he learns the truth will he change back to the man he was or is he happier with the man he's become. I loved the beginning of this, the feels come at you as soon as you start it, then it kind of lost me in the middle and slowed down, but picked up again where like a race car driver I was speeding through the pages racing to the finish line and fell in love again. There is no doubt that this author can write, her use of words seemed to flow effortlessly, a unique drug induced gripping story.